1. Heat medium saucepan over low heat. Then add coconut butter, cocoa powder, vanilla, and sea salt. Mix well. Then add raw honey and mix until combined.
. 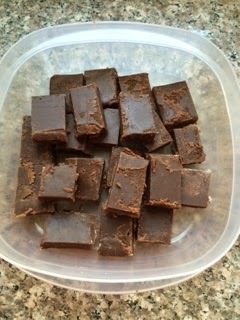 Allow fudge to completely set (a few hours). Cut into squares and serve.